I’ve been writing the last few days around the Levels of Narrative: how we can use personal, co-created and organisational narratives in learning design, leadership and organisational change. Today, i heard about a great project using aspects of this in education: a media literacy project in the Netherlands that uses cross media elements, a unifying narrative, multiple dialogue feeds and community contribution to create a week long story where students learn about media. The core story is communicated in video, but key characters have Twitter feeds (monitored, with a set script, but able to interact), and are supplemented by other media (a newspaper, website etc). There’s also a game where you can ‘solve’ parts of the story and answer questions. The narrative is linear, but gives the appearance that your interaction is contributing to the direction. I love the experimental nature of it, the way it crosses live and recorded action with the co-created narrative from the community. In terms of a Learning Methodology, it’s about space for exploration, and space for reflection. 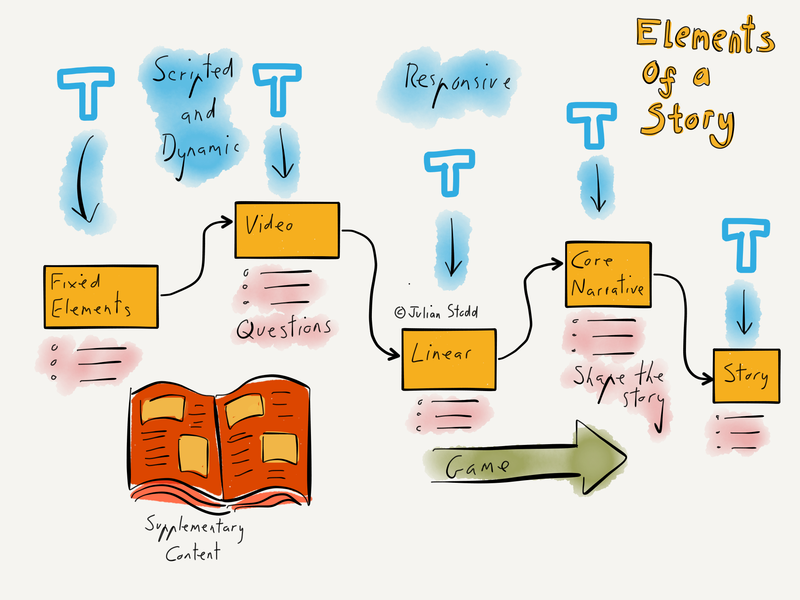 In terms of storytelling, it’s a formal story with co-created elements. Bold and creative: a lot of organisations could usefully prototype this approach. This entry was posted in Stories, Storytelling and tagged Communication, Cross Media, Media, Netherlands, Stories, Story, storytelling. Bookmark the permalink.